Take a trip to the Greek island of Mykonos without leaving South Africa. 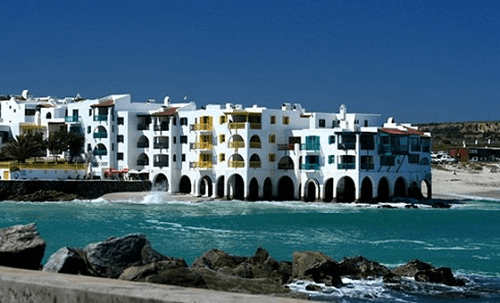 Located in Langebaan in the Western Cape, Mykonos Casino was designed after the Island of Wind, with its signature white and blue buildings. It’s a hidden gem and guarantees the best gambling experience. Run by Tsogo Sun, know that you’ll get the best service and facilities. There is a lot for guests to enjoy at the casinos and resort besides lounging on the beach. The casino floor has over 320 slot machines and six gaming tables. These table games include the casino staples of blackjack, Raise ‘em poker, and American roulette. They have promotions running on games every week where you can win your share of a massive cash prize and even a car. Keep checking their website for promotions. Furthermore, they also have a rewards programme that gives members access to exclusive promotions. Earn enough points at your favourite slot game or table game to qualify for entry into ongoing promotions. Touted as a premier family destination, there is a lot to do at Mykonos for those who don’t gamble. Since it’s located on the West Coast of the Western Cape, guests can spend the day soaking up the sun on the beach. The water may not be as warm as the Indian Ocean’s but the pristine beaches will fulfil Greek Isle summer fantasies. If guests are looking to unwind, they should visit the luxury Italian-inspired La Vita Spa. Guests can enjoy their seven-day spa treatments inside or outside overlooking the beautiful vista. Furthermore, the spa also features a gym, several pools, and a sauna. Visitors use their Rewards Cards to get discounts off their treatments. There’s Club Mykonos accommodation which is has a four-star rating for a reason. The rooms are beautifully decorated and blend in with the Greek Isle aesthetic of Langebaan. They open out onto the beach where you can spend your days before heading to the Mykonos Casino in the evening. 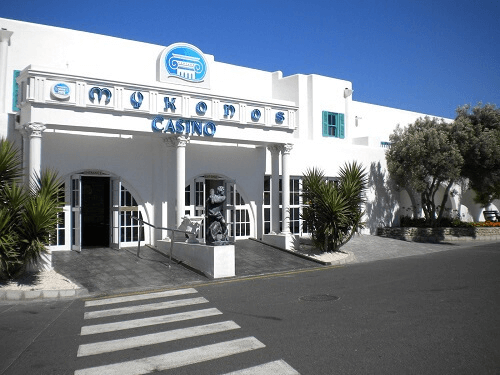 The Mykonos casino has two excellent restaurants to choose from. The Black Pearl is a stylish yet relaxed restaurant where they serve buffet style. The Marisol Diner is a relaxed diner where you can enjoy their delicious breakfast all day. Learn about the best Western Cape casinos with Casino ZA.